Let the cords of love be 3-ply! I love this verse. It was actually the “theme verse” for our wedding. We had it written on the programs and read in the service. 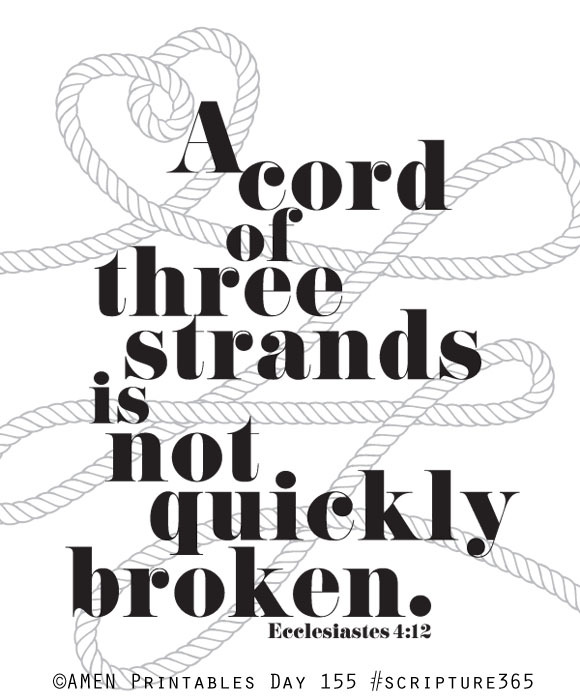 In fact, instead of doing a unity candle or the sand thing, we had 3 ropes (one symbolizing myself, another my husband, and the third one representing Christ) and we braided them together. It was awesome because it’s something unique and meaningful, AND it’s now a keepsake in our house! Lindsay, I love that you used a rope instead of a unity candle. Such a novel idea! Lindsay, that is so creative and meaningful!